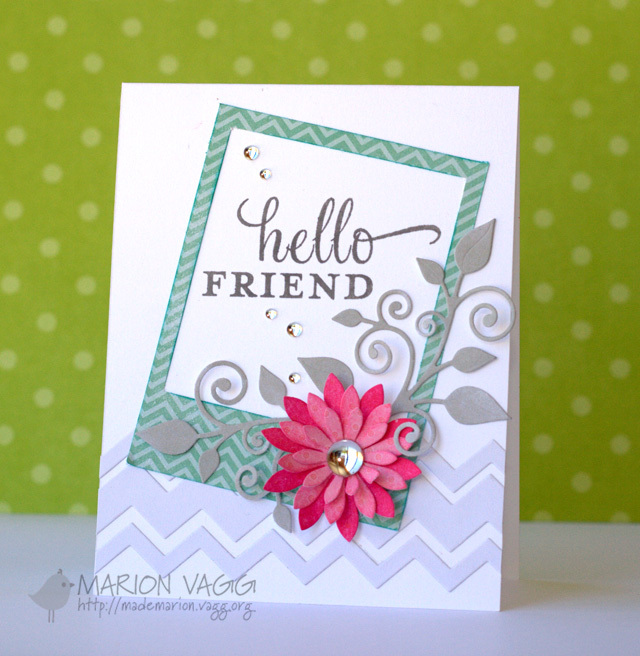 I used the same layering idea for my petals as I did on this card, but this time in die cuts, rather than layered stamping. I decided to leave this card without a sentiment, so that the focus is completely on the graphic bloom. 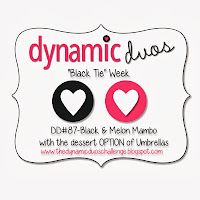 I hope you'll be able to play along with us at Muse this week - the deadline is on Monday morning at 8:00 am. Voting takes place between Monday morning and Tuesday morning (anyone can vote, even if you didn't link up a card!) and the results will be posted on Tuesday at noon. Clean graphic. I love it! WOW! Into my fave pile. Yesterday's Purple Piece was also fabulous.It just blows me away how much drama you can create with so few elements. I guess you can't WIN if you are part of the Muse team, but my votes would all be for your card. It's amazing how you consistently define "Graphic" in a totally unique way each time you post a card. This is stunning. The bold colors and clean, crisp design are perfect. Okay, this beauty just bumped the old #1 into the #2 spot! Stunning is the word for this card! The black enamel dot is awesome! This really caught my eye in the pool! Love how bold it is! Wow, a stunning CAS card! I love the way the flower pops. 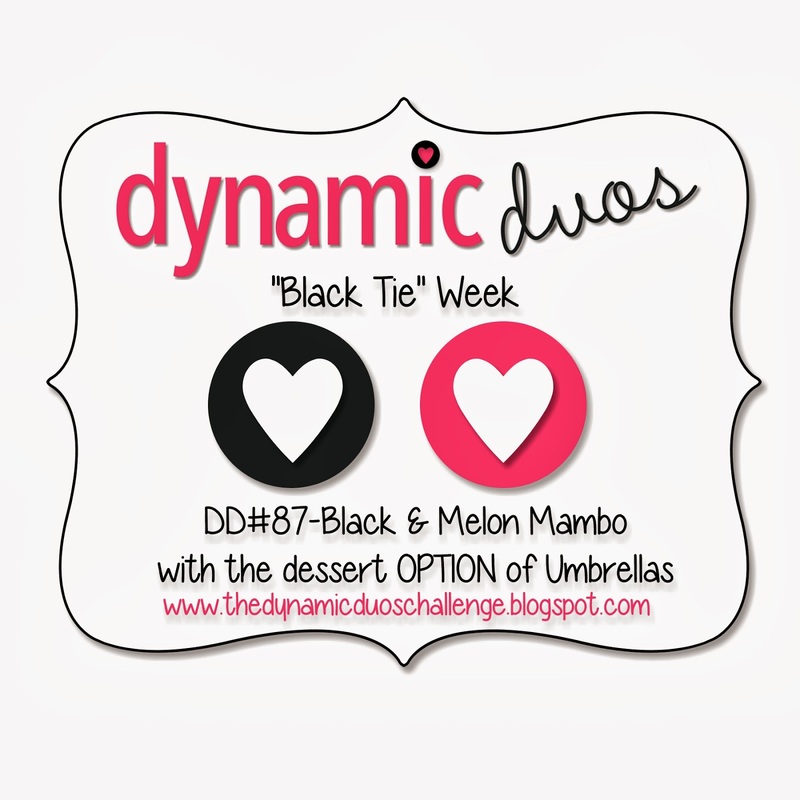 Thanks for joining us at Dynamic Duos! 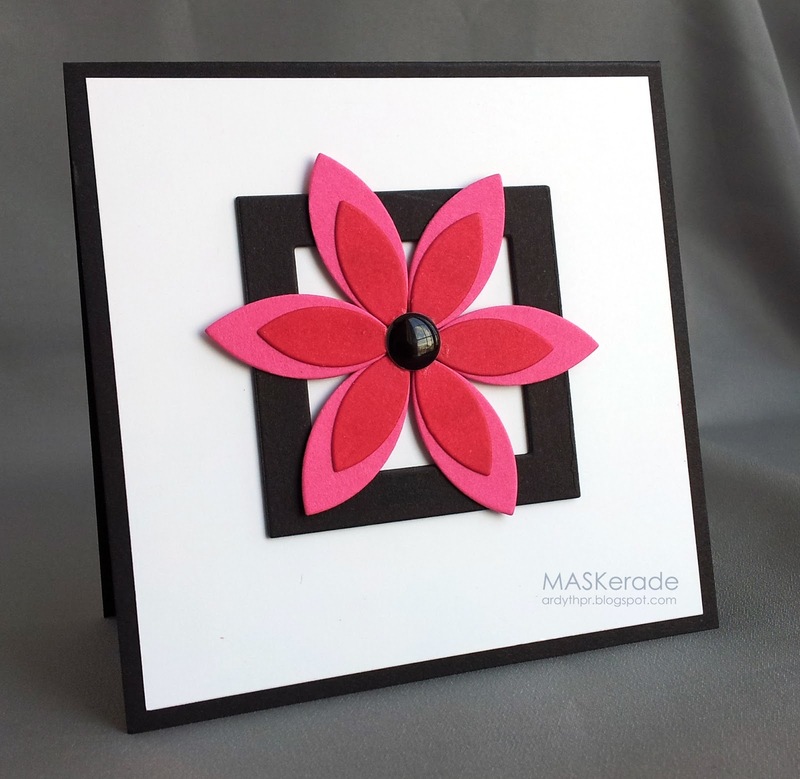 Simple perfection, love this bold and graphic flower! This is so bold and striking. I love it. Love this fabulous graphic and clean design.